The definitive reference on the art and science of rigging, this massive work combines and updates Toss' renowned Rigger's Apprentice and Rigger's Locker. Lavishly illustrated with drawings and numerous graphs, tables, and other illustrations on all aspects of rigging. "I go to sea as an instructor whose specialty is the demystification of celestial navigation... the only book I have room to bring, and the one that is best-suited should my mind go blank, Is... [this book]... I never shove off without it... No matter what your ability, if you have only one book on celestial navigation, this should be it." This addition to the International Marine Sailboat Library explains step by step, picture by picture how to measure for, construct, modify, maintain, renew, and repair such canvas items as biminis, sail covers, sail bags, cushions, and more, both above deck and below. It also shows how to repair damaged sails, all of which is possible on an ordinary home sewing machine. "The author's depth of experience is make clear... through the excellent reorganization of the material and the remarkable clarity of the writing. There is also a playfulness about the book that reveals more than a sense of humor; it reveals true mastery... While we can take guidance from others, ultimately we must rely on ourselves for fulfillment. Many roads lead there, and with this book, Marino has surely proven that sailmaking is one of them." Now, for the first time in paperback, an all-time nautical classic-the standard work on seamanship under gale conditions. With more than 100,000 English-language copies and six translated editions, it has thrilled, sobered, and instructed sailors worldwide. As the standard textbook relied on by private boating schools around the country, Chapman's Piloting is also recommended by the United States Power Squadrons and the U.S. Coast Guard Auxiliary. In this revised, full-color edition, every page reflects the most recent advances in boating, including more than 1,000 photos, maps, and illustrations, and current and laws and regulations governing the nation's waterways. The Sailing Mystique: The Challenges and Rewards of a Life under Sail is a delightful collection of sailing stories which the author has culled from a lifetime of writing about boats and the sea. 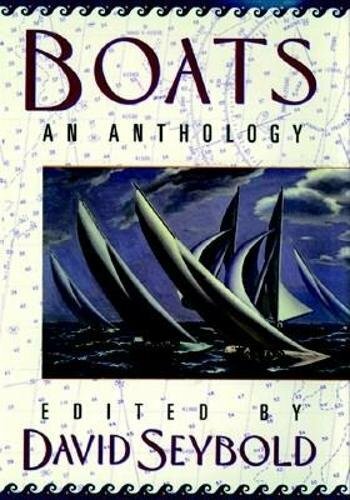 In this anthology, we accompany veteran sailing writer Bill Robinson through the stages of his life afloat. 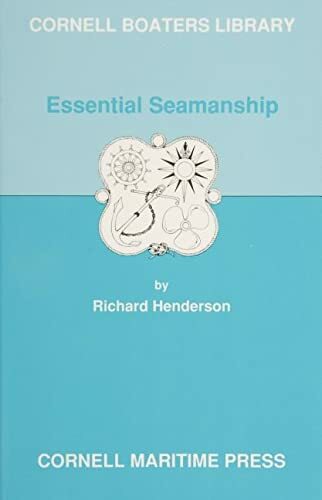 Essential Seamanship presents in abbreviated form the most important and practical elements of seamanship and nautical knowledge needed by today's small boat skipper. Essential Seamanship will serve aboard any vessel as a ready up-to-date reference of essential information in condensed and simplified form. A complete and useful guide to every aspect of boating customs, from yacht-club practices to passing courtesies, from what types of flags to fly and how and where to display them to having or being a guest on board a boat. Illustrated. Outlines most of the techniques of piloting that are still fundamental to safe navigation even with today's electronic aids. In addition to dead-reckoning techniques, covers tides and currents and introduces the major features of LORAN and GPS. Annotation copyright Book News, Inc. Portland, Or.